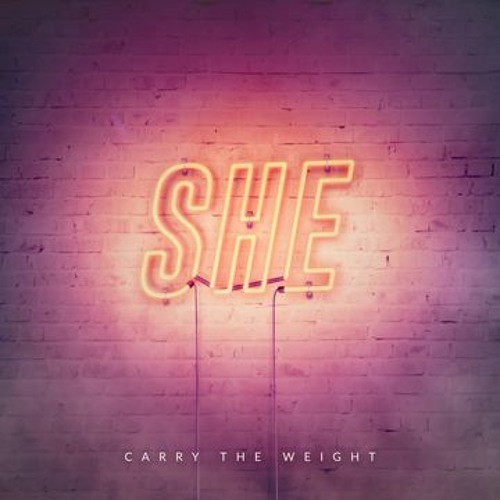 SHE reveal epic new EP "Carry The Weight"
We've had Midlands-based SHE on the site last year, and the track we absolutely loved is the opening track for their debut EP, which you can stream right below! The band use lead vocalist Rebecca's infectious vocals combined with swirling synths and twisting dark guitars to create a diverse brilliant indie sound which is seeing the band going from strength to strength. "I had a conversation with a young lad once about his own mental health and the imagery that came out in the stories he used to tell me were both fascinating and terrifying at the same time. His dreams and his visions blurred into one and he really lost grip on reality for a while – a real interesting character. I think trauma and tragedy can be a real motivator when you write music. It would be great if everything we sang about was all sunshine and flowers but life just doesn’t go that way." "The EP as a body of work is something we’re all really proud of but its also been a real whirlwind of emotions too. It’s a bit like a moody teenager. It starts quite upbeat and lively but it also has moments of reflection where we take things down a notch and focus in on harder subjects and softer sounds." So why not check out the EP below, you owe it to yourself!